Perfect for large offices, cafeterias, restaurants and cafes. 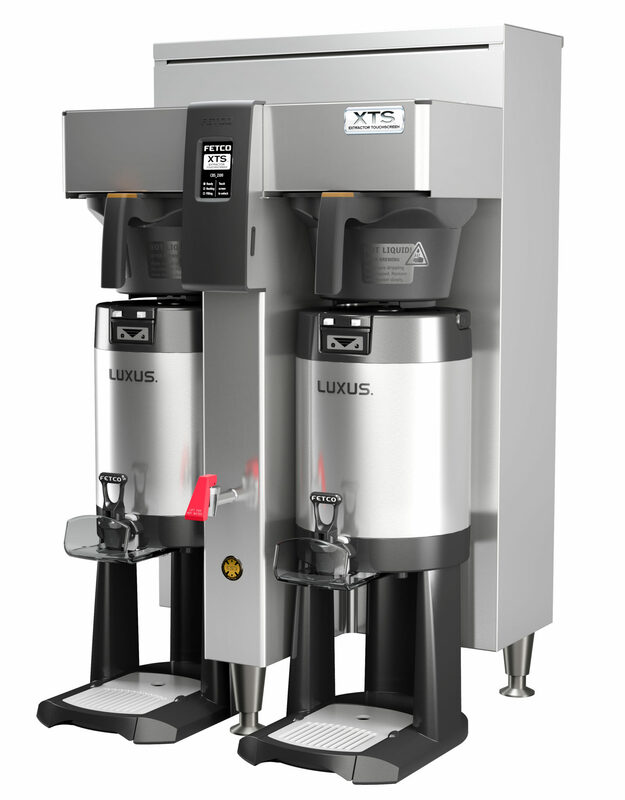 Whether you come from a large scale office or your company is in the food service industry, US Coffee understands your need for a high volume brewer you can rely on. We carry the most up-to-date, state-of-the-art high volume brewing systems for both regular coffee and specialty drinks. 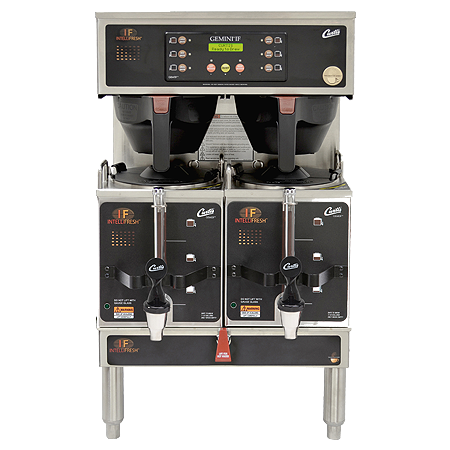 With Generation Three technology and state-of-the-art ThermoPro vacuum sealed servers, Curtis introduces the most advanced gourmet coffee brewing system on the market today. The unique Universal Control Module, easy to read display and simple interface make operating easy. ThermoPro systems are available in both single and twin, designed to optimize coffee quality and flavor, while reducing maintenance and service. Curtis Gemini Intellifresh coffee brewing systems use Intellifresh Technology to continously monitor and hold the temperature of your coffee by gently adding heat to preserve coffee flavor. The exclusive design envelops the satellite vessel with gentle, digital controlled warmth, so the last cup you serve will always taste as fresh as the last. 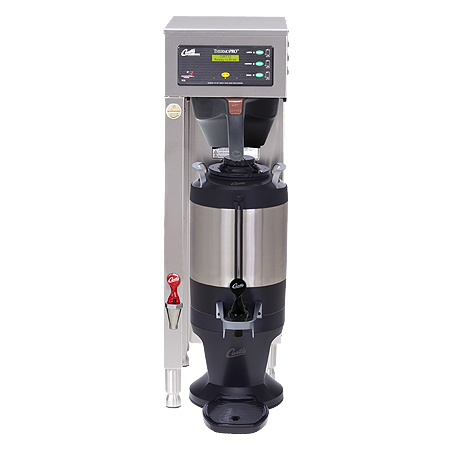 Curtis sets a new standard for ultra compact airpot coffee brewing systems with the TP15S. This enhanced design system combines renowned Curtis brewing expertise with the latest in digital technology. This design offers precision digital performance, greater reliability and extended working life. 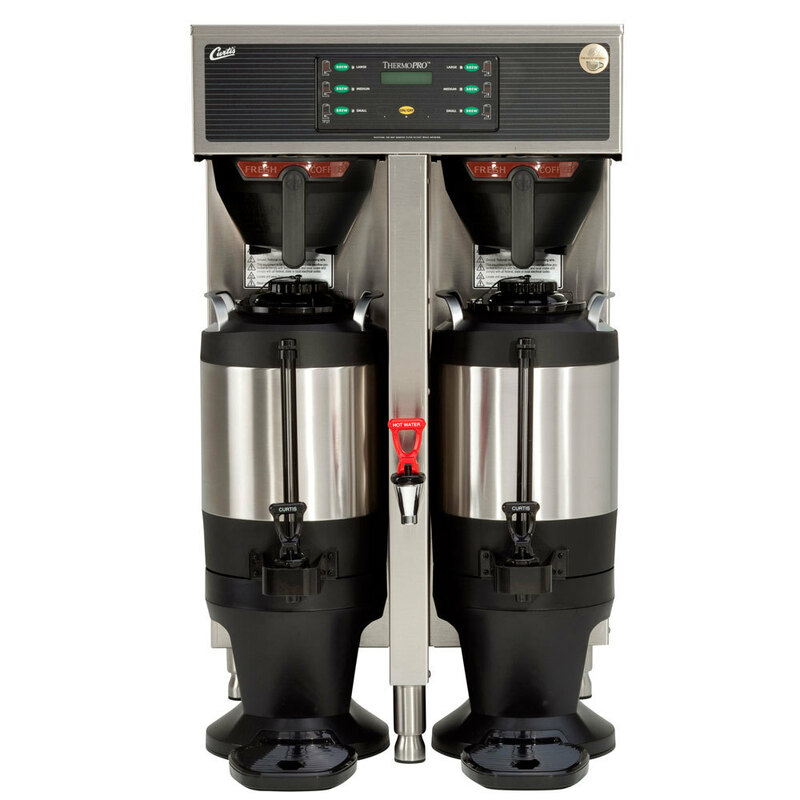 The Twin Station 1.5 Gallon CBS-2152XTS Touchscreen Series Coffee Brewer provides flexibility in medium-to-large sized venues such as Banquet Halls, Cafeterias and Restaurants. Simplify your daily operations and experience total control of this fully featured Extractor Brewing System via an inviting touchscreen interface display that is intuitive, easy to read and simple to navigate.